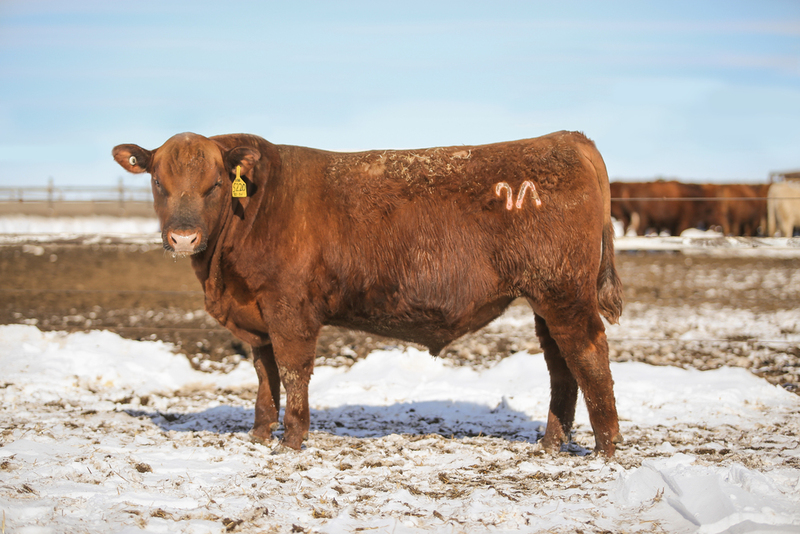 This Merlin son was our top selling bull in our 2014 sale, going to Leland Red Angus in Sidney, MT. This bull has done everything right: 97 BW ratio, 114 WW ratio, 109 YW ratio, 109 IMF ratio and 120 REA ratio. His first progeny proof earned him a -4 BW to 132 YW spread, and top 8% ranks for both Marbling & REA.